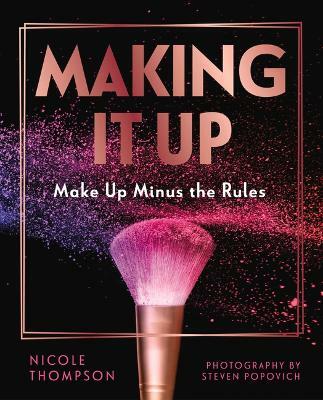 Making It Up is a visually stunning, 'must have' beauty/makeup 'bible' for not just the avid makeup and beauty followers (aka 'junkies') but an essential tool for the makeup and beauty 'novice'. This book embraces diversity and experimentation but is filled with beautiful images ... read full description below. 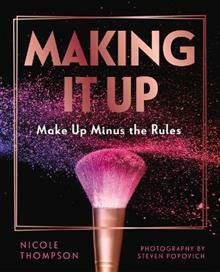 Making It Up is a visually stunning, 'must have' beauty/makeup 'bible' for not just the avid makeup and beauty followers (aka 'junkies') but an essential tool for the makeup and beauty 'novice'. This book embraces diversity and experimentation but is filled with beautiful images the reader can relate to. Regardless of gender, race or age, Nicole encourages you to experiment after all, make up wipes off! With over 15 years experience in the makeup industry, there is not a face type, shape or skin tone that Nicole Thompson has not applied a makeup brush to. Nicole has created a career that has taken her across the world. In that time, Nicole has worked with some of the world's biggest designers, photographers, stylists and is a global ambassador for make up brand M-A-C Cosmetics. Nicole worked her way up in the industry by assisting the best makeup artists in the world and now she is passing on what she has learned to the next generation of 'beauty junkies'.